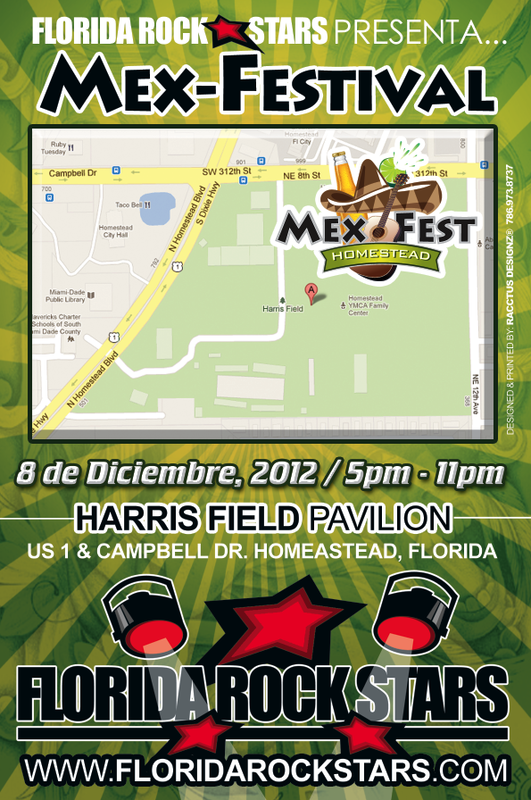 Florida Rock Stars presents the MEX FEST HOMESTEAD, to be held Saturday December 8, 2012 at the Harris Field Pavilion in Homestead, FL. Gates open at 4pm – rain or shine – no coolers! 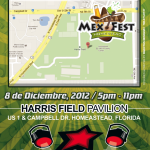 Tickets are $20 at the gate (admission only). Kids under 12 are free. 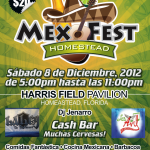 The show features authentic Mexican music, dance, cuisine, and, of course, muchas cervesas! CASH BAR. The event is dedicated to raising awareness for immigration services for local residents. Music features top local bands La Ley de la Tierra and Los Avil de Machoacan. Also, sparking the event will be local favorite Dj Jenarro. In addition, gourmet food is served up by local restaurants and Captain Joe”s Seafood. 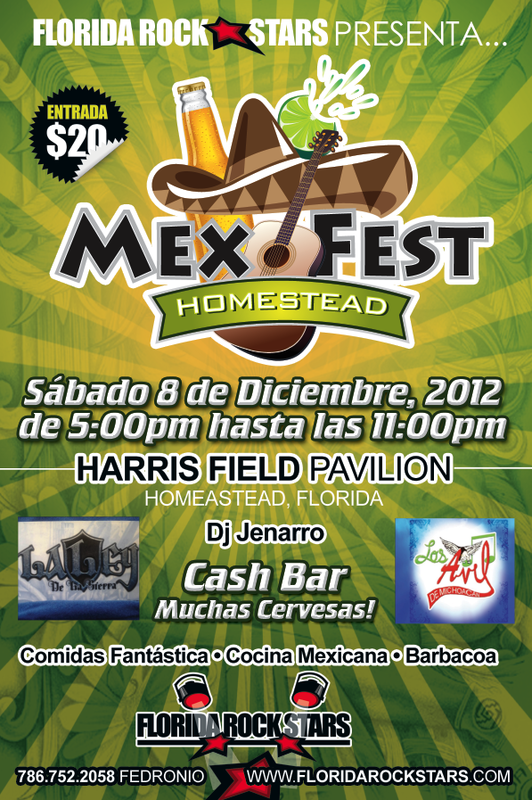 Join us in this colorful festival, MEX FEST HOMESTEAD! Click here to buy your advance tickets online for $15.00!